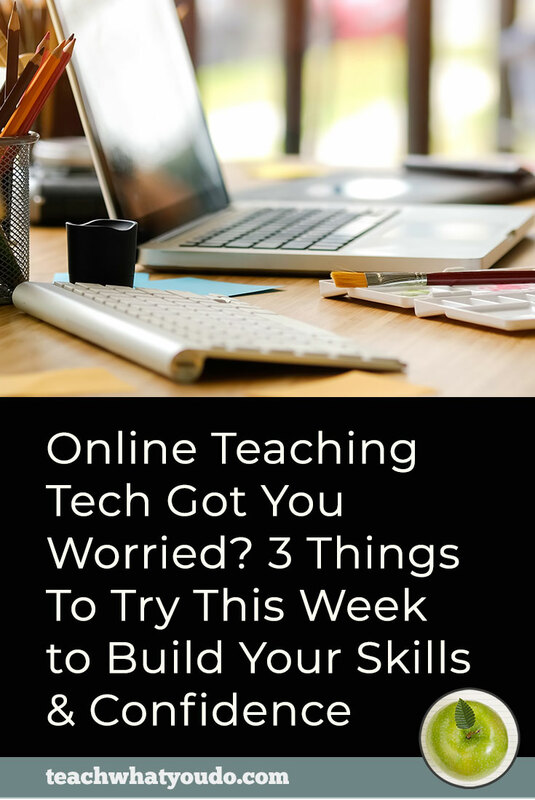 Is This Why You Want to Teach Online? First: do you have “the bug” to teach? 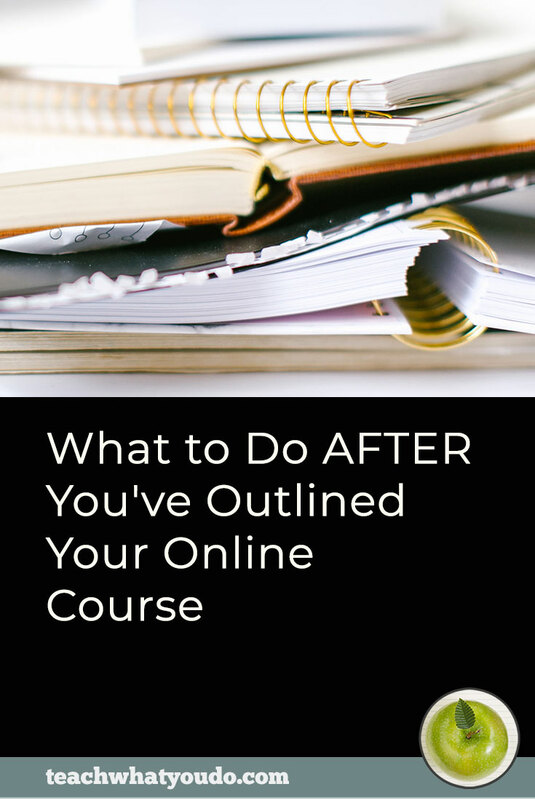 One sure piece of evidence is that you're always having ideas about your course–and not necessarily at convenient times. You might be packing lunch–for yourself or your kids or both–and it occurs to you that your online course should have a lesson on . . .
. . . a particular advanced technique . . . or specialized tool . . . or key mindset approach. You grab a pen from the junk drawer and flip over the envelope with that Blue Apron “come-on-back!” invite and quickly get your ideas down. And then it's off to the car. Sync your phone. Queue up a podcast–Smart Passive Income or The Goal Digger–and your regular day has started. OK. So you do have a passion to teach your own course. Maybe it's needlepoint, public speaking, stress reduction, or website design. Whatever the topic, you have knowledge and systems, and an urge to package them up into a class that others can use to save time, avoid pain, create something of beauty, be happier. To begin with, earning money should be one of the reasons you want to build an online teaching business. I know it's not the loftiest–and I will talk about those other lofty reasons in just a minute. But, of course, earning money is a reason for starting any business. I like earning money with my classes. Now tell me this: why earn money in this way? Why not with a 9-to-5 job or a done-for-you service or personal tutoring or coaching? Why this way? I'm going to suggest that earning money this way might be about freedom–and perhaps earning even when you've got constraints. I worked in IT at our local electric utility when I first moved to New Hampshire, and I remember rushing out at lunch, in my skirt and pumps, to Michael's to get wire I needed to hang a Chrismas garland. And on that outing I thought: I want to do work that lets me go to the craft store on my own schedule–and in jeans and sneakers. I wanted work . . . but I also wanted more freedom. You might also be pulled to this work because you've got constraints that don't let you commute to a regular job. Have you got an autoimmune disease that keeps you from being able to count on successfully getting to work every day and putting in the hours required? Or are you responsible for the care of others in your home and family? Maybe you're a stay-at-home mom or a child with an ailing parent who you've committed to care for. Once I was a stay-at-home mom, money and freedom came together in a different way. My husband is a frugal guy. Today, 20 years later, as I write this post, he's the associate dean in a business school, but RIGHT NOW he is downstairs putting a new ice crusher in our fridge (I've already run downsairs twice: once to find a dropped screw and once to flip the electricity). Last month he put a new braking sensor in my son's car. He can't help himself. So now back up 20 years to me being a stay-at-home mom with a frugal husband. . . you get where I'm going with this right? I wanted a degree of freedom around money. Sure we each had our allowances . . . but I didn't want anyone “allowing” me anything. My teaching gave me that money and freedom. As we look toward my husband's retirement in a few years, my teaching income is going to take care of fun and frivolous expenses. 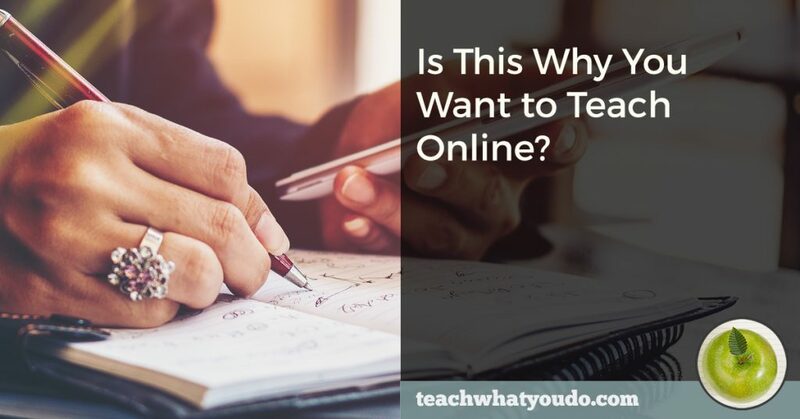 So does your desire to teach online and to make money with online teaching have anything to do with freedom or with being able to earn within constraints? Another biggie that most course builders I know have as a why is this one: the ability to have an impact. When you've got a talent, a well-honed skill, knowledge, even a system, that you know can help others . . . you want to share it. If you can give others the ability to be creative, to conquer a problem, to live healthier, to reduce stress–you will find yourself moved to do just this. And in many instances the skills your students master will have RIPPLES . . . By that I mean that others in addition to your student will benefit. When your student learns to cope with stress, those around him will benefit. When you student learns a skill that gives them new opportunities, again, those around her will benefit. There's one more reason I like teaching online that isn't about freedom or money. My online teaching business is my venue for expression. It's a place where I create and have success and help others. It's a force for good that I control. While I didn't realize it, I was looking for this “venue” 35 years ago, when I was getting an MBA, and I decided to start studying fiction writing at the same time. That initial search had me going to writing retreats in Bennington and Portland and Bar Harbor. For a while, I travelled 3 hours round trip every Tuesday night to workshop with an editor from The Atlantic Monthly. Even as I finished my MBA and then worked as managing director of an extension service, I spent my lunch hour at Papa Ginos (lighting-fast service!) writing fiction. By the time I was a stay-at-home mom, I was publishing short stories in small literary journals. Happy as I was to put that volume of Beloit Fiction Journal on my bookshelf, it was definitely costing me more to submit my work than I was earning, and I didn't have any interest in writing a novel. At the same time, I started scrapbooking with a passion. And I discovered I could publish in scrapbooking magazines and actually make a few dollars–I'd found a first “venue for expression” that I could count on. Unfortunately . . . this was when magazines were starting to fade and even fail. The result was that I built my own platform, my own “venue for expression:” the Get It Scrapped website and online classroom. I know you've heard or felt this call to teach online because you've read this far. The question now is: Will you answer the call? 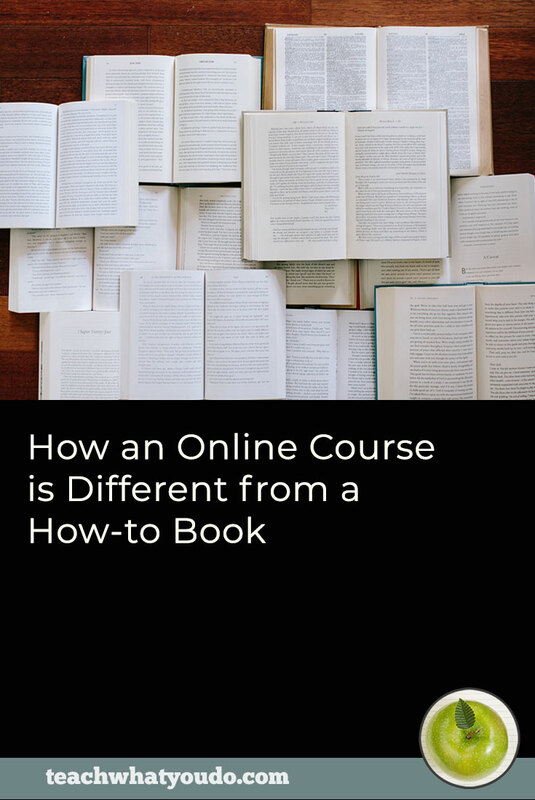 Will you take the steps necessary to create and sell your own online course? While I'm the one asking you right now–that call is actually coming from within you. If you refuse the call, you're not saying no to me. You're saying no to yourself. If you're going to accept the call, here's a way for you to start working on your teaching business right away. 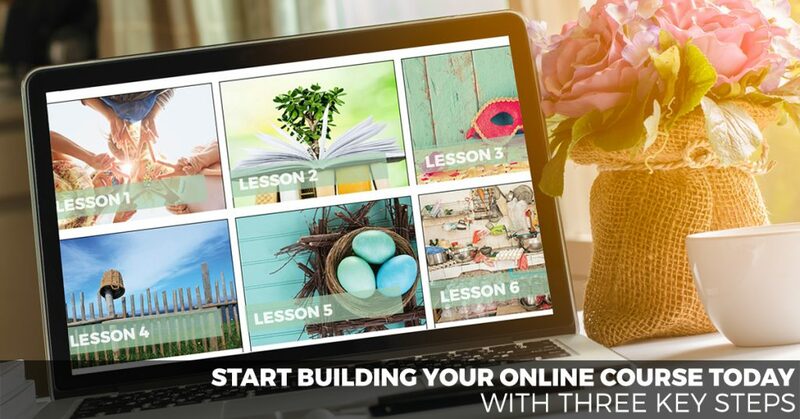 Click here to grab my free masterclass, Start Building Your Online Course Today with 3 Key First Steps. 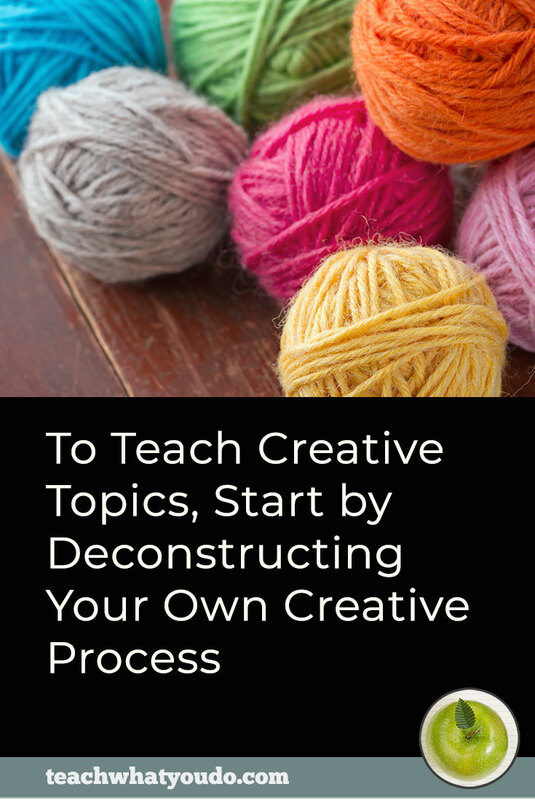 Choose a topic for your first course. Start making a first lesson–even if just to get into the mix. It could end up being part of a paid class or it could be a first audience building freebie you share. Start finding and building your audience. Making people aware of you and what you have to offer is the beginning to any sales funnel. So what's it going to be? 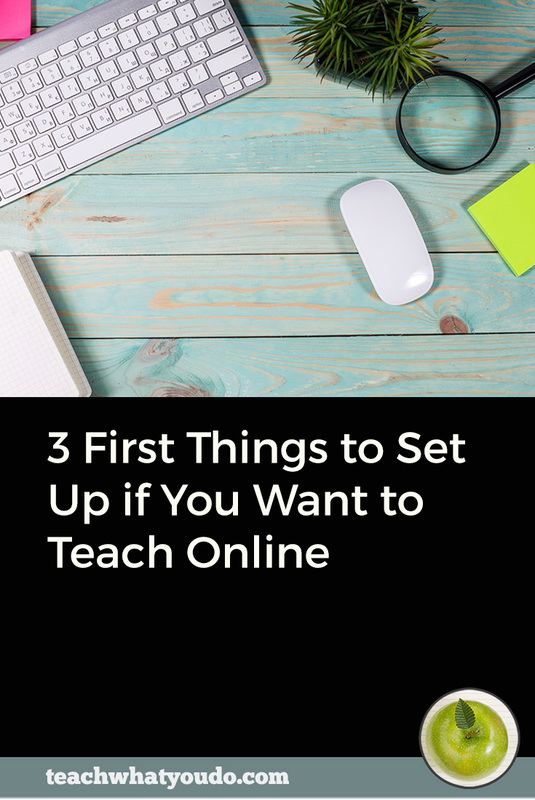 Are you going to pursue your own online teaching business with a passion? I hope so. Click on the image below to get a free first class that will give you direction on key first steps.